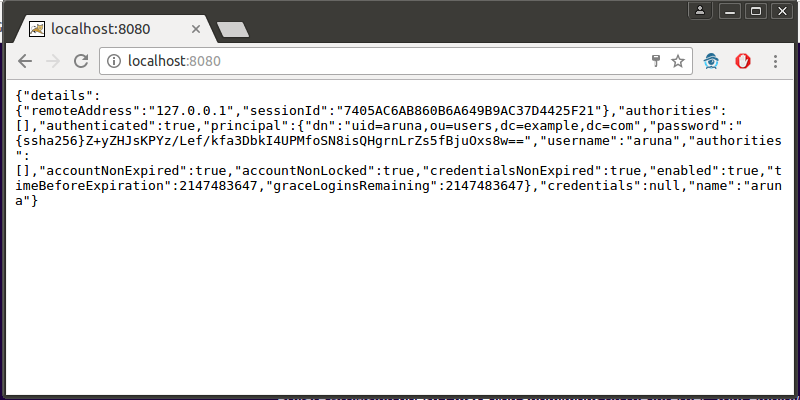 In this blog post we are going to connect a sample spring boot application with LDAP based userstore to do the authentication. First create a LDAP server. I've created a sample server using Apache Directory Studio. Then create a sample spring-boot application with the following dependencies. Then in your sample application extend the WebSecurityConfigurerAdapter class and override the below two methods. 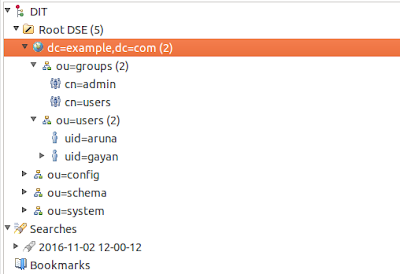 Provide the connection details as per the ldap server created above. That's it the spring will engage basic authenticate your requests to the webapp. Now start the app using mvn spring-boot:run or using the java -jar spring-boot-ldap-sample.jar, Access the webapp using http://localhost:8080/ and provide the credentials of a user in the ldap user base. You'll see the authenticated user's details after a successful authentication. Full source to the sample can be found here. Probably an issue when connecting to the LDAP. Can you verify those configurations are correct. No, I meant did you create those manager, user groups, in your LDAP correctly?.. 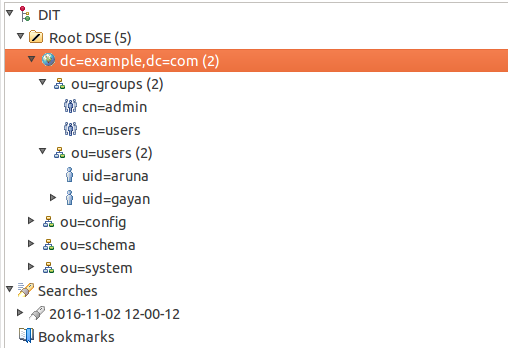 Both the ou=groups and ou=users should be present inside the dc. Check the ldap image in my post.